Chris Klashoff, Sales Rep (905) 574-4600 "Your Partner to Success"
Garage: "# Driveway spaces: 1.0, Driveway: Private Single Wide"
Basement: Yes, Partial "Separate Entrance Partially Finished"
Lot Size: 924sq. 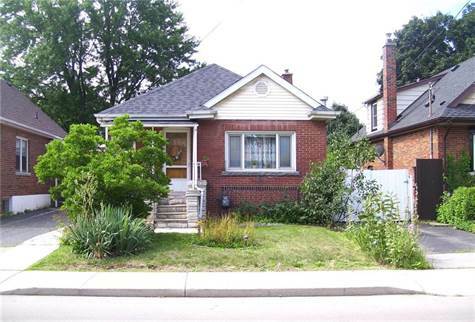 ft. 37ft x 102ft "37.00 X 102.00, Rectangular"
Pride of ownership is evident in this solid brick, detached bungalow, in Hamilton’s sought after Kirkendall neighbourhood! Enjoy a carpet free home with refinished hardwood floors, spacious Living & Dining room, private drive, park like backyard, finished basement with separate side entrance, Rec Room with Gas Fireplace and Bar. Features Unique Euro Windows (maintenance free) throughout & new roof 2017! In-law potential! Just a short walk to Dundurn Street Shops, not far from Locke Street and just minutes to McMaster University & Highway 403! Come have a look!